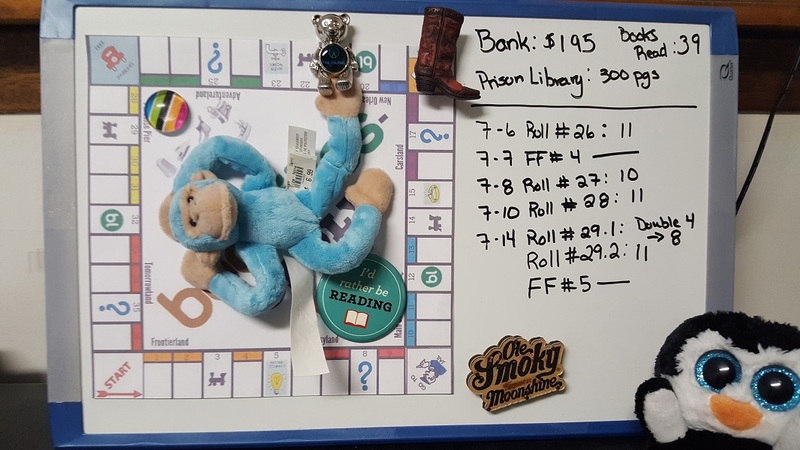 Ani's Book Abyss: Booklikes-opoly | Roll #29! and Free Friday #5! Roll #28 landed me on Frontierland 4, where I chose to read a book whose title has letters that can spell 'RIVER;' obviously, the easiest way to do this was just to find a book that had the word 'river' in it. And I had a few options. 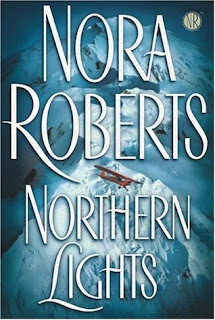 River's End by Nora Roberts is 447 pages, worth a $10.00 increase to my Bank, which is now up to $195! I have conflicting feelings about River's End, much like I seem to have conflicting feelings about all the Nora Roberts books I've read so far. I really enjoy them, they're written really well, and they can be addictive. But there's always something about them that doesn't quite work for me, even as there are a lot of things about them that I DO really, really like. A review will be posted soon. In the meantime, I was also able to finish Ravished by Amanda Quick, my Free Friday Read for 7/7. Ravished was 418 pages, equaling a $10.00 boost. To see my review, click on the book title above. Thanks! 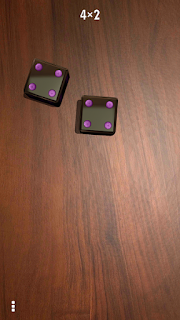 A double 4 roll gets me an 8, which moves me from Frontierland 4 to Main Street 11. I have been here twice before, but the first time was before the Big Game Shake Up; the second time was after the Big Game Shake Up, for the Fourth of July Optional Challenge! Monkey is still just chillin'. Because of rolling a set of doubles, I rolled once more and got an 11, which brought me to New Orleans Square 21. And, well, well, I have also landed on this space previously, just a few rolls ago, and this is also after the Big Game Shake Up! Back around the board, and around we go again! For Main Street 11, I had contemplated reading another Nora Roberts book, one that I had checked out from the library on a whim, while I was there to pick up other books. But after finishing River's End, I'm feeling like I need to give Nora Roberts a rest and read some other stuff for a while--some lighter fare, per se, and maybe books that aren't as lengthy. I've got a few ideas on hand, one mainly the next book in the Arcane Society series, by Jayne Ann Krentz (Amanda Quick)--another author born prior to 1955. Northern Lights, in hardcover, is 567 pages, which, according to the location multiplier, will be worth $15.00 if I choose to read and finish. Burning Lamp, also in hardcover, is 328 pages, which will be worth $9.00 if I choose it to read and finish. 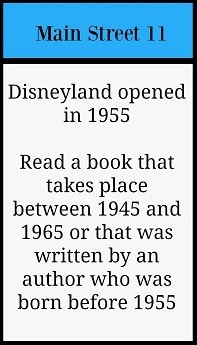 Both authors were born pre-1955. Meanwhile, for New Orleans Square 21, I've also got a few choices that I'm having a lot of trouble deciding between, and I guess it all kind of depends on which of the above two books I finally decide to read. 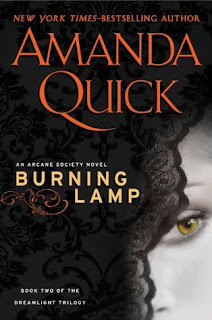 Because either way, I'll be reading Burning Lamp since it is also a book that takes place in England, which fulfills the "set on an island" part of the game space. Heat Wave is an anthology that totals 320 pages. Having the ocean on the cover makes it a candidate for this game space. Being one of the books on my COYER Summer Reading List makes it an ideal choice to read. It would be worth $9.00 with location multiplier. 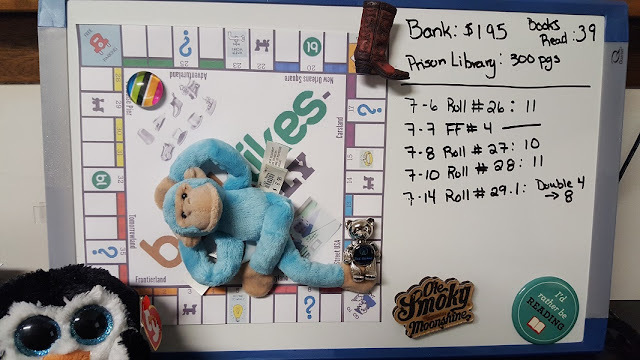 Alias Smith and Jones by Kylie Brant is one of the books I'd considered briefly when I last landed on this game space. The book summary, and some of the first few pages of the book talk about island hopping, so I assume that this book will be set on an island, if not multiple islands. 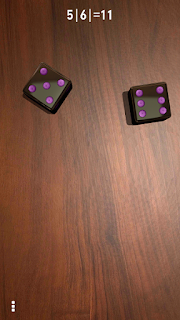 This book is 271 pages (Scribd e-book), which would be $9.00 with location multiplier in play. A Lady by Midnight by Tessa Dare is the third book in the Spindle Cove series, of which I totally adored, having read the first two books and loving them. I really DO want to finish this series, so this book would also be a choice. Like Burning Lamp, this book takes place in England, which, according to some Q&A discussion, is considered an island. A Lady by Midnight is 397 pages, worth $9.00 with the second finish location multiplier. Meanwhile, since today is Friday, we start another Free Friday book! Yay! In keeping with book challenges, I'm making myself choose a book from my COYER Summer Reading List. And, TADA! 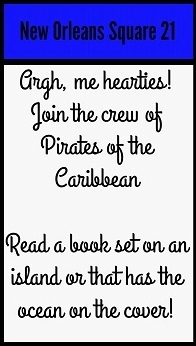 The book is also part of my Reading Assignment Challenge! The Law of Attraction by N.M. Silber has been on my TBR, and my Kindle shelves forever! It is the first book in the Lawyers in Love series, and set at 242 pages, worth $6.00 (no location multiplier at play for Free Friday reads). I pretty much told myself that I would get to this book for Free Friday if I didn't land on a square that would allow me to read this book, so here we are. So now we kick back and see what I decide to read. I'm going to have to sleep on this decision... and there's a chance I'll just have to draw straws or something.